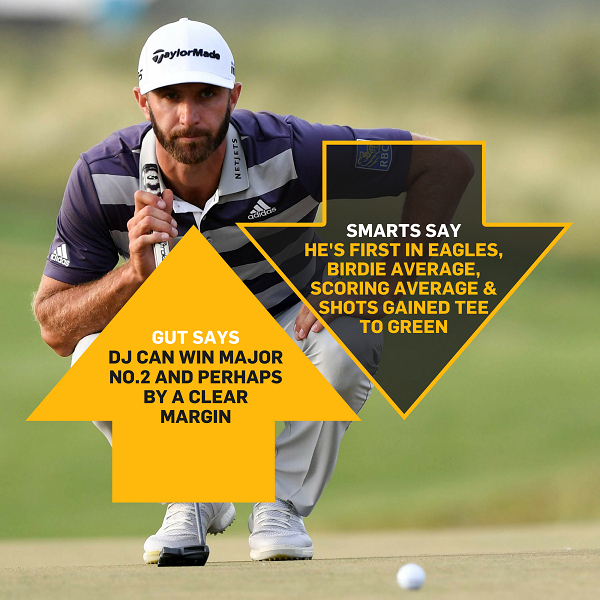 "Since winning the US Open in June 2016, only once has DJ found himself in contention in a major come Sunday afternoon. Yet his overall form remains pretty good and, since the start of the year, has won three times on Tour." America's Midwest welcomes the world's leading golfers to this week's PGA Championship in Missouri. For the third time in its history, Bellerive Country Club will host one of golf's four major tournaments, having staged the US Open in 1965, and PGA Championship 27 years later. On both previous occasions, victory went to a golfer from the continent of Africa, with Gary Player surviving a play-off in the US Open, before Nick Price clinched his maiden major title in 1992. The only other time Bellerive has been the venue for a PGA Tour event was in 2008, when another player from the southern hemisphere - Colombian Camilo Villegas - won the BMW Championship. Seven years earlier, the course was due to host the WGC-American Express Championship, but was cancelled because of the September 11 terrorist attacks in New York, which happened on Tuesday of tournament week. Bellerive, which can be found 18 miles west of downtown St Louis, was given a major renovation 13 years ago by architect Rees Jones. Although the routing remained untouched, Jones made changes to every hole, while new sewer pipes were installed below the course. A large creek meanders its way across the layout, coming into play on nine holes, while water hazards feature on as many as 11. Bellerive, which has gained a reputation for large, undulating Bent grass greens, is laid out in a large area of woodland. The course has been in existence since 1910 and has now been afforded the honour of hosting the 100th PGA Championship. 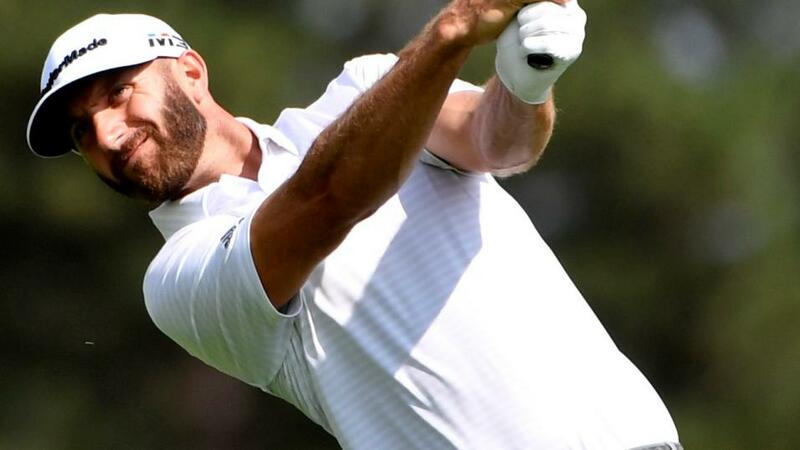 Despite being world No 1 for 74 of the past 78 weeks, Dustin Johnson's recent form in the big four events has been below par. Since winning the US Open in June 2016, only once has DJ found himself in contention in a major come Sunday afternoon. Yet his overall form remains pretty good and, since the start of the year, has won three times on Tour, while adding three other podium positions. World No 3 Justin Rose is another player who rarely files an off week, nowadays. The 38-year-old opted to take a rest last week, pulling out of the event at Firestone, and will tee-up on Thursday on the back of 18 top-10s from his last 23 starts - which have included four victories. Since winning the US Open in 2013, Rose has had three runner-up finishes in majors. Another Englishman with superb consistency is Tommy Fleetwood, who suffered a frustrating weekend in Scotland last month, after reaching the half-way mark of The Open Championship in good shape. At the other end of the spectrum there are a number of big-name golfers whose recent major form has been mediocre - if not appalling. The once-consistent Sergio Garcia has missed his last four major cuts and hasn't posted a top-20 since winning at Augusta in April 2017. Bubba Watson has had just one major top-20 since wearing the Green Jacket four years ago, while the highly-rated Bryson DeChambeau is yet to post a maiden top-10 - although time is still clearly on his side. Spaniard Rafa Cabrera-Bello is in need of a strong major result, and is yet to register a top-15 on American soil.